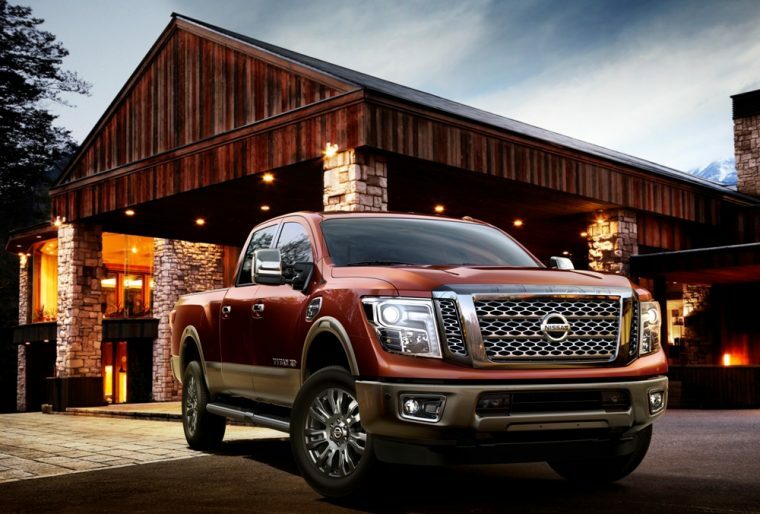 The 2016 Nissan Titan XD is a heavy-duty pickup truck that carries a starting MSRP of $40,290. The Titan XD is available in either rear-wheel drive or four-wheel drive. Every model comes with a turbo V8 engine and keyless remote entry. The 2016 Nissan Titan XD competes in the same segment as the Ford F-Series Super Duty, Chevrolet Silverado 2500HD, and RAM 2500. 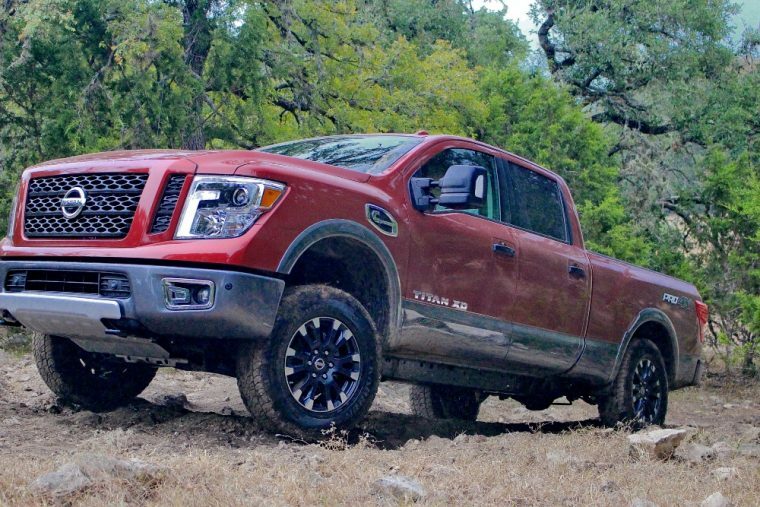 What’s new for the 2016 Nissan Titan XD? 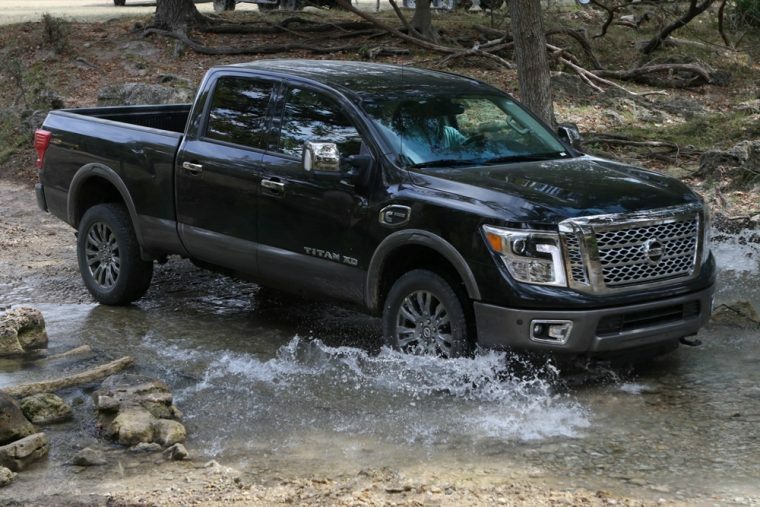 The 2016 Nissan Titan XD is an all-new model and it comes in five trim levels: S, SV, Pro-4X, SL, and Platinum Reserve. The 2016 Nissan Titan XD features a bold and rugged design that comes standard with 17-inch steel wheels, a black grille, black bumper, a full-size spare tire, and a lockable damped tailgate. If you opt for the available S Convenience and Utility package, then your Titan XD will be equipped with a receiver hitch, spray-in bedliner, and a 7-pin wiring harness connector at the back of the vehicle. Color options for the new Titan XD include Cayenne Red, Brilliant Silver, Magnetic Black, Gun Metallic, and Glacier White. The 2016 Nissan Titan XD is powered by a Cummins® turbocharged 5.0-liter V8 diesel engine rated at 310 horsepower and 555 lb-ft of torque. 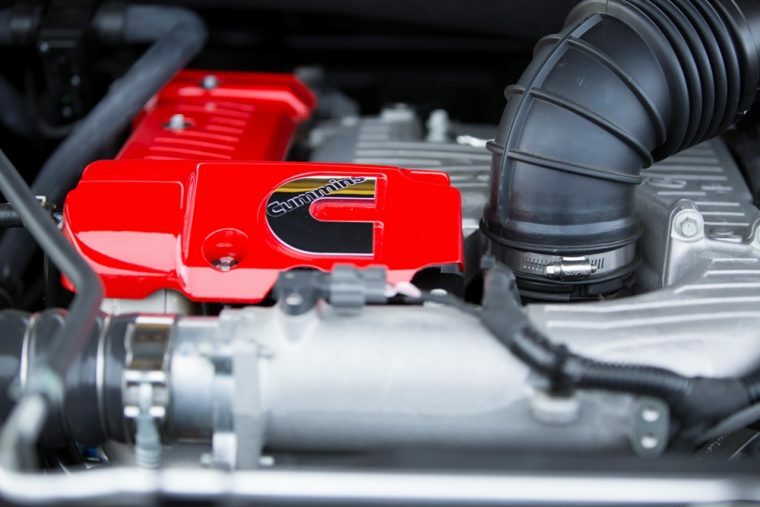 That engine in matched by a six-speed automatic transmission. Furthermore, the 2016 Titan XD can tow up to 12,000 pounds when properly equipped. 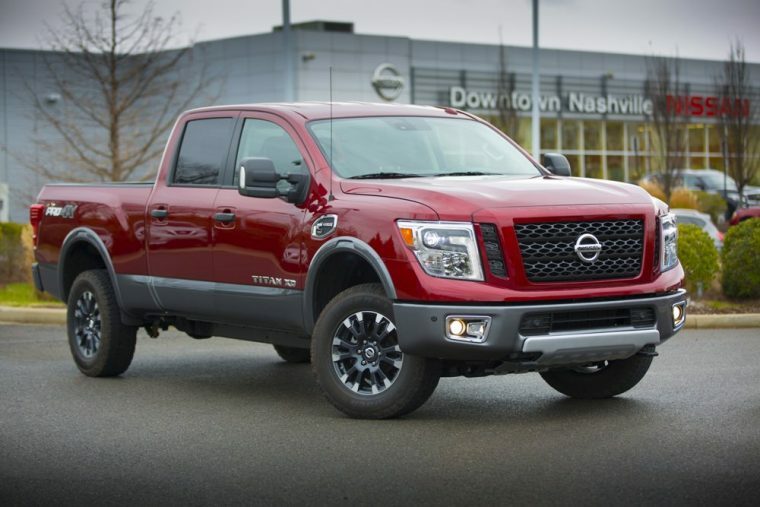 Nissan has not released fuel economy data for the 2016 Titan XD, but Motor Trend determined through its Real MPG test that this Nissan truck yields 17.7 mpg combined. The Titan XD comes standard with a 26 gallon fuel tank. 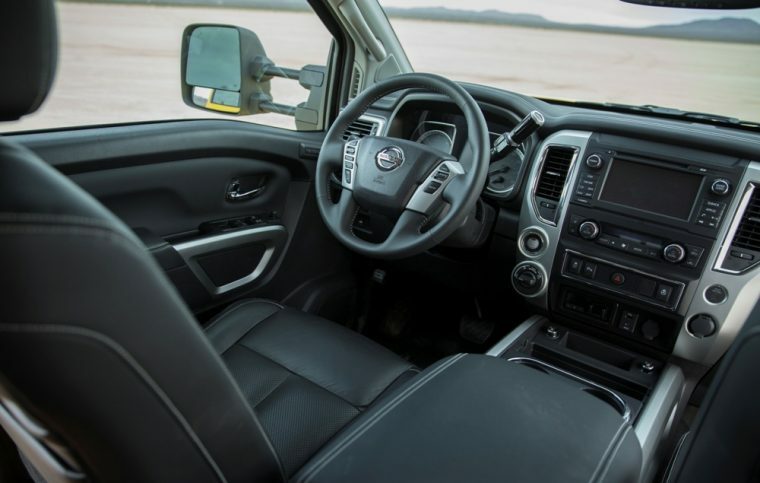 The interior of the new Titan XD is spacious and comfortable. The Titan XD comes standard with an AM/FM/CD audio system with 5-inch color display, six speakers, and Bluetooth capability. The cabin also sports cloth-and-vinyl upholstery, front bench seats, and 60/40-split folding rear seats. If you decide to open up your wallet and purchase the top-level Platinum Reserve model, then you’ll receive additional tech features including the NissanConnect system with navigation and mobile app integration. Antilock brakes, stability and traction control, and six airbags all come standard with the 2016 Nissan Titan XD. This Nissan truck is also available with advanced safety features such as NissanConnect Services, blind-spot monitor with rear cross-traffic alert, and an around view monitor with moving object detection.